‘We know Africa because we go’ is our personal motto. So what better way to celebrate it than with a collection of the year’s best photographs captured by our Go2Africans in top safari destinations like South Africa, Kenya and Tanzania. We hope you enjoy them. Here’s to another year of safari adventures in Africa! After following a pack of wild dogs tracking a herd of impala in Madikwe Game Reserve, Kieran's afternoon game drive ended with a spot of luck. "Another game ranger from our lodge (Madikwe Hills) called in to say, 'We have struck gold'. Our ranger raced to a little waterhole 500m from the dogs and we had a 5-minute viewing of the female leopard pacing around at sunset." 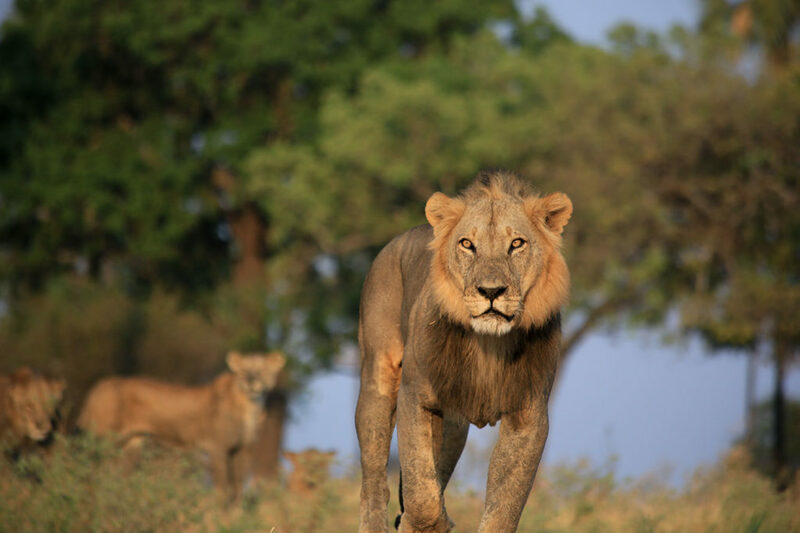 During his stay at Sabi Sabi Selati Lodge, Jonty went on an early morning game drive in the Sabi Sands Game Reserve. 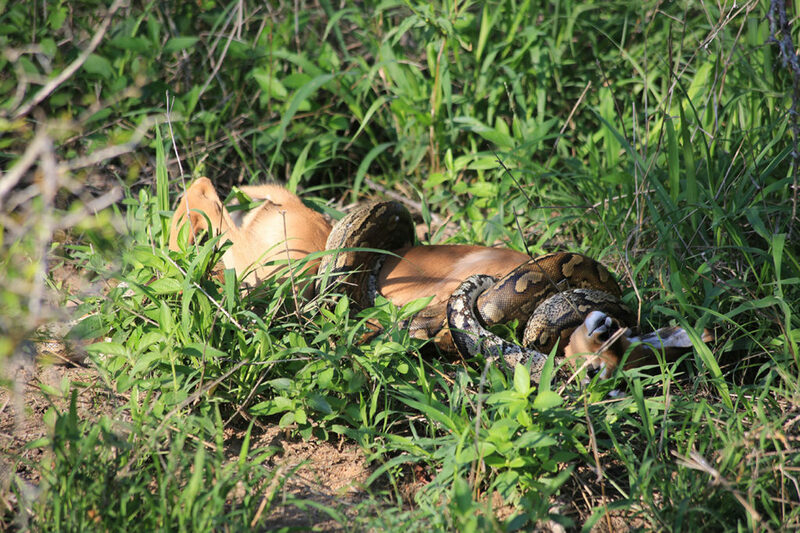 An impala herd's alarm calls were followed, and it was soon discovered that a python had coiled around a baby impala and was busy constricting the youngster. 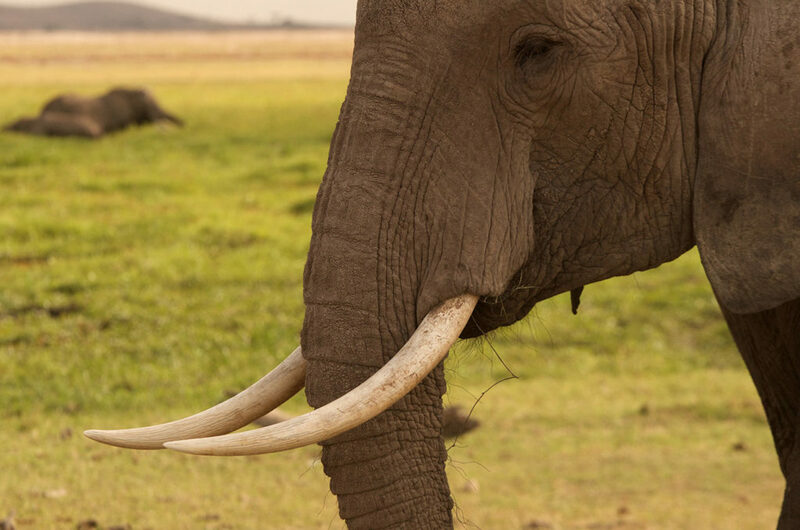 Kenya's Amboseli National Park is well known for its massive herds of elephants that congregate around the swamps – especially in the dry season (January to March). These relaxed giants allow you to approach relatively close, which creates incredible photographic opportunities. 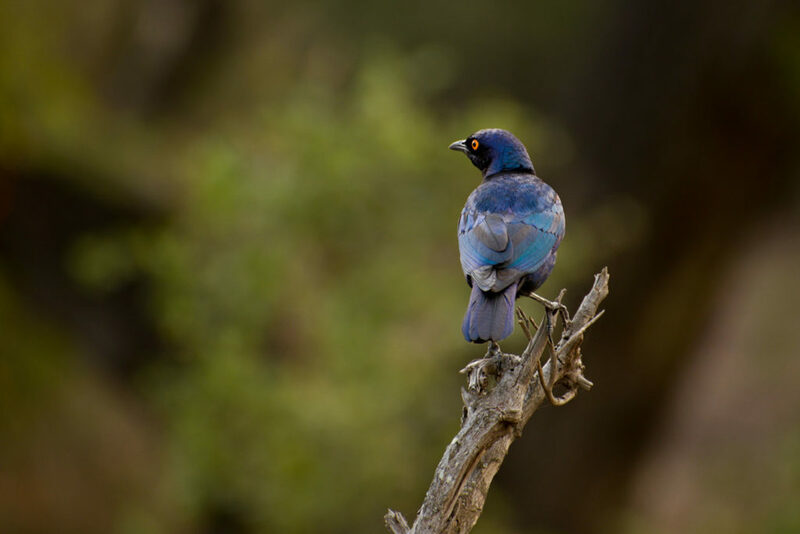 Emma snapped this starling in the Singita Private Conservancy in the northern part of Kruger National Park. These birds are highly sociable and habituated to humans. They nest in crevices and will often outcompete other birds for these spaces. 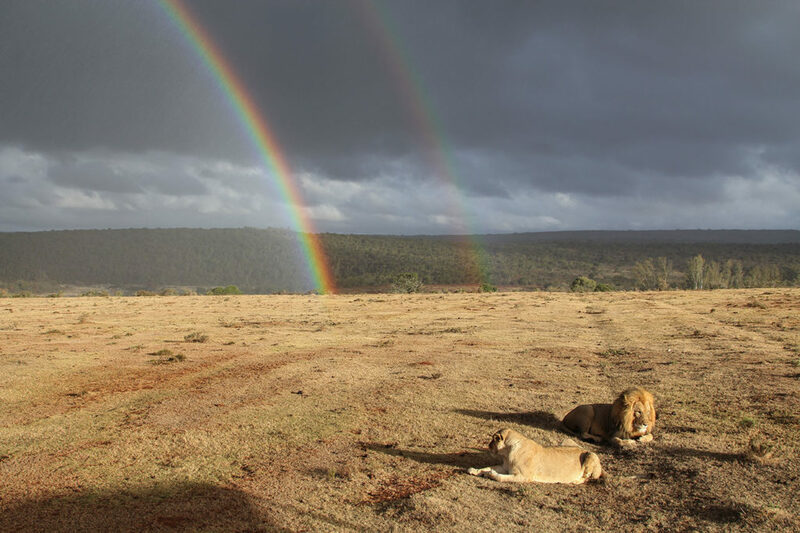 While on safari in the Masai Mara, Mark stayed at Porini Lion Camp – renowned for its excellent sightings of big cats. 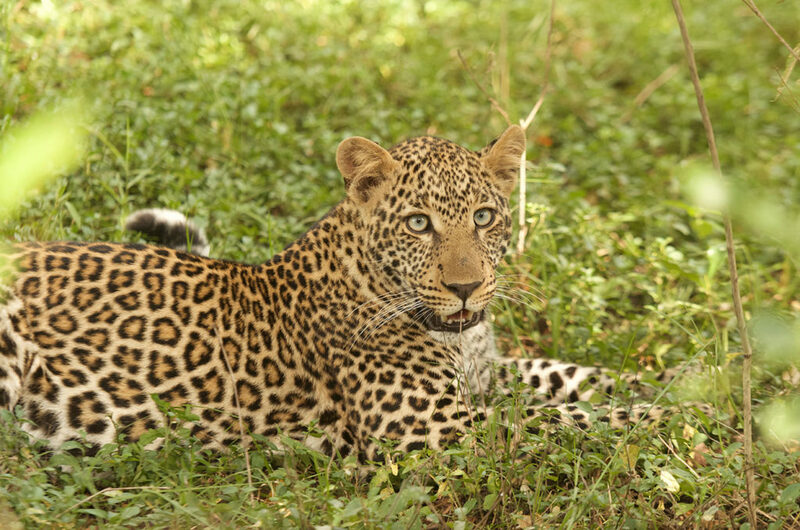 "Our second leopard sighting within 24 hours, a beautiful female leopard and this – her young male cub. He was curious and gazed at us with the most captivating eyes, before disappearing into the shadows with his mother." 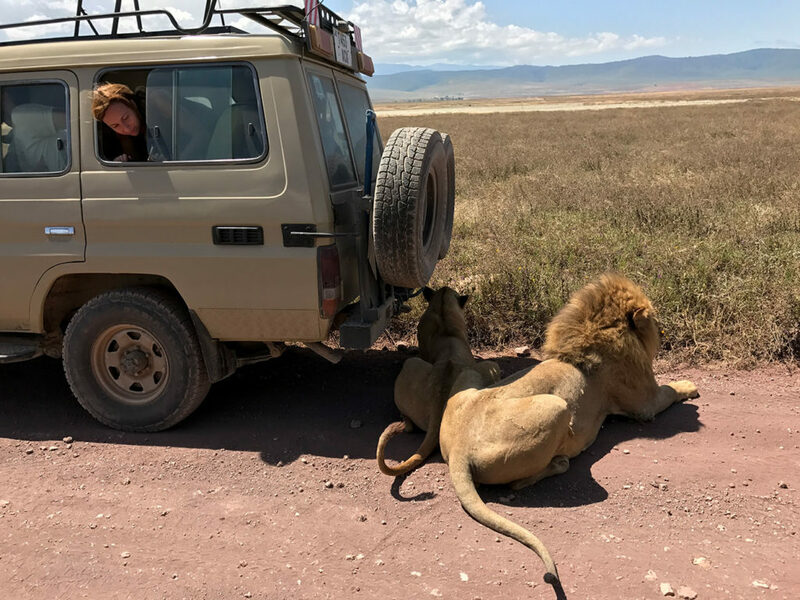 "The resident pride of 12 lions were waiting for the mud around a buffalo carcass to harden up – it was lying in a small waterhole created by elephants in a dry river bed, and the mud was too soft for the lions to actually walk through to eat the kill. Just after sunrise, this full-grown male decided it was time to try again, so the pride started making their way down to the river bed. He walked right past our vehicle and rubbed himself on the front-right wheel. Incredible sighting!" Amboseli National Park is not only about mega-herds of elephants. 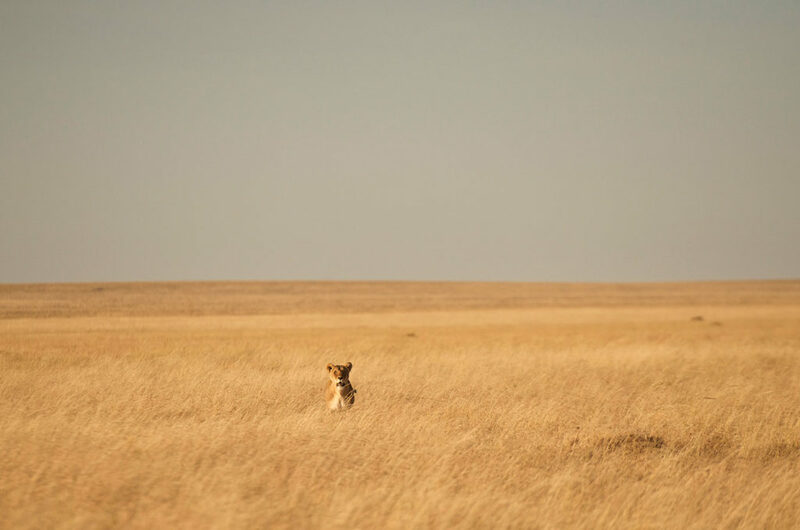 "We came across a lone lioness that had killed a wildebeest and then moved away a short distance into some shade. 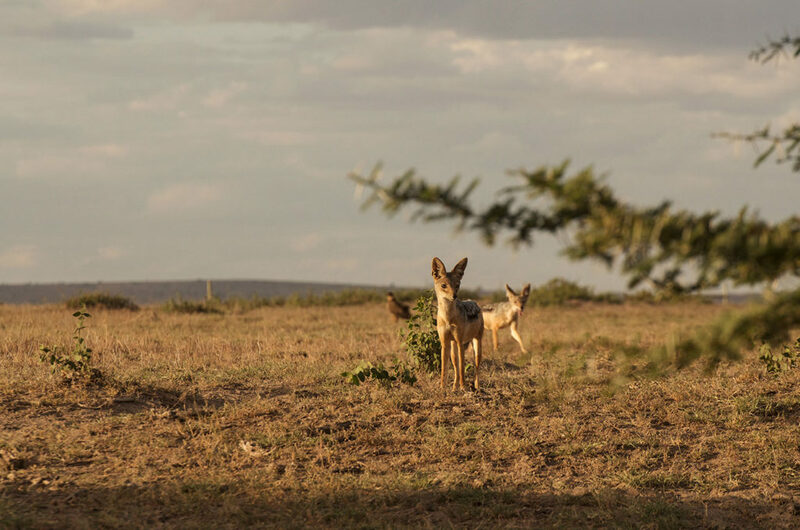 Ever the opportunists, a pair of black-backed jackals seemed to be daring each other to sneak closer to grab a part of the feast." 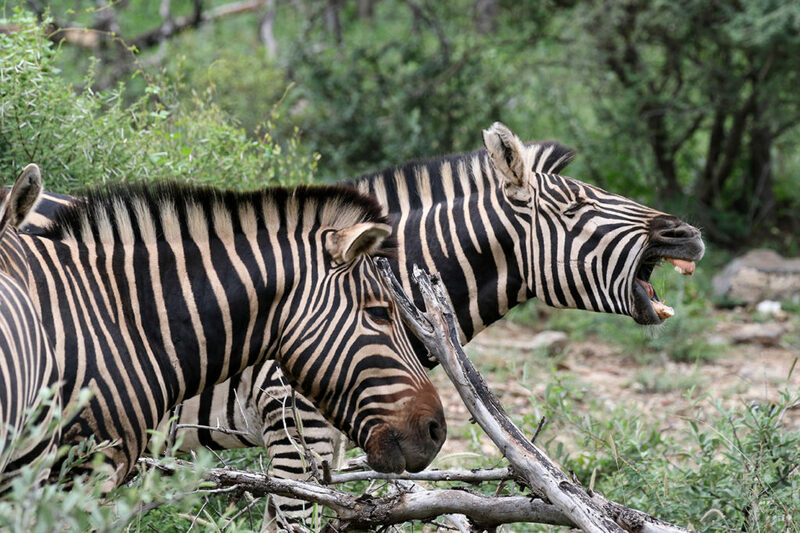 Jonty snapped these African equids while on a photographic safari in Madikwe Private Game Reserve. He stayed at Jaci's Safari Lodge and Jaci's Tree Lodge. 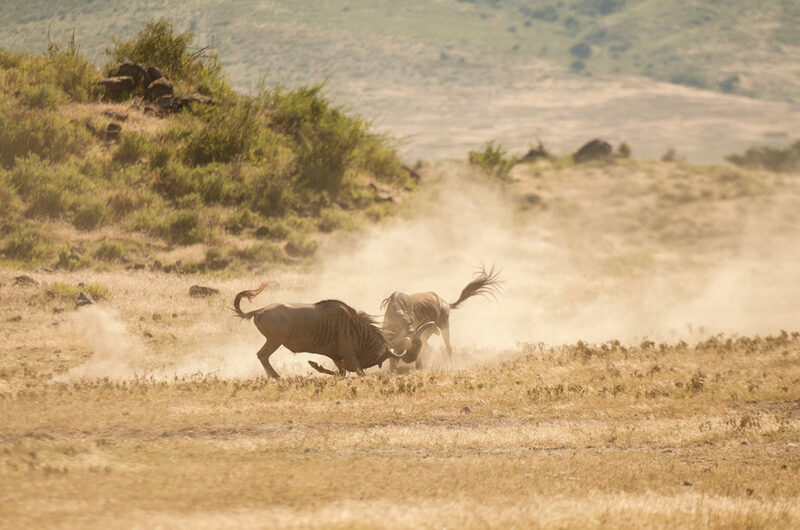 Due to excellent year-round grazing, wildebeest within the Ngorongoro Crater have no need to migrate. Instead, the bulls compete for the best territories on the crater floor. During the rut, clouds of dust usually indicate two testosterone-charged males in a battle for territory. 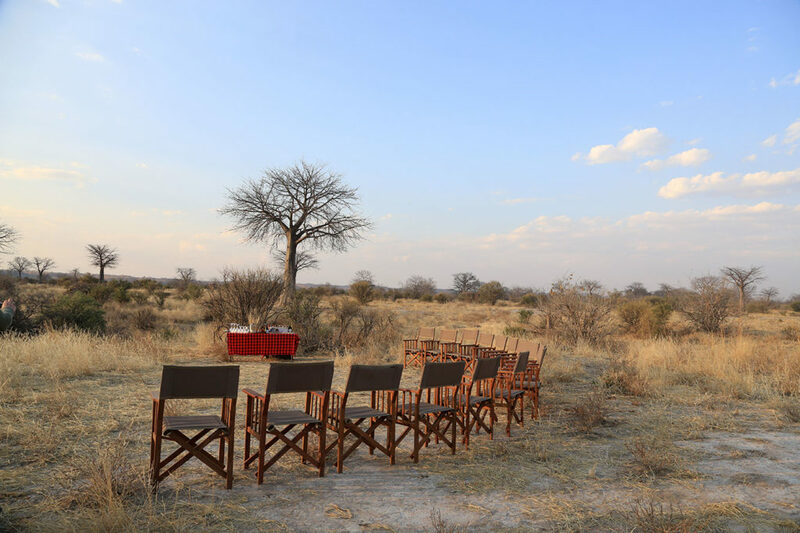 While on safari in Tanzania's Ruaha National Park, Jessica stayed at Jabali Ridge. She took this photo of a sundowner drinks stop, just before an evening game drive. 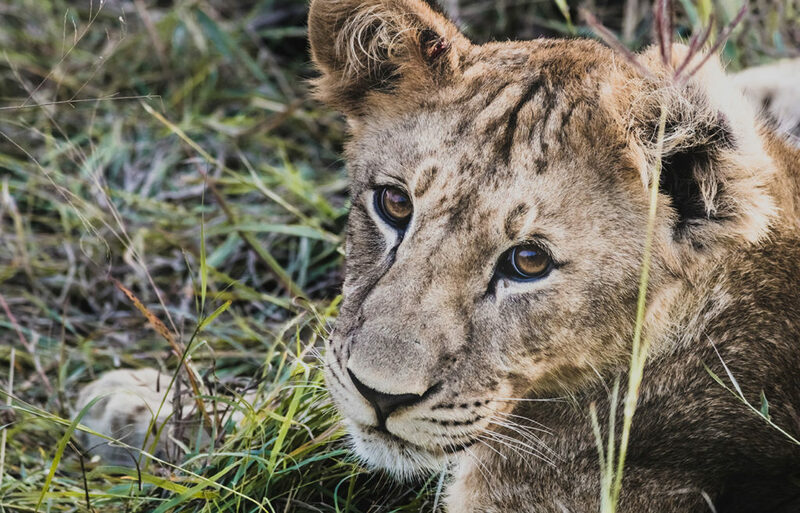 This youngster was photographed in the Madikwe Private Game Reserve – one of South Africa’s biggest yet least known Big 5 safari destinations. 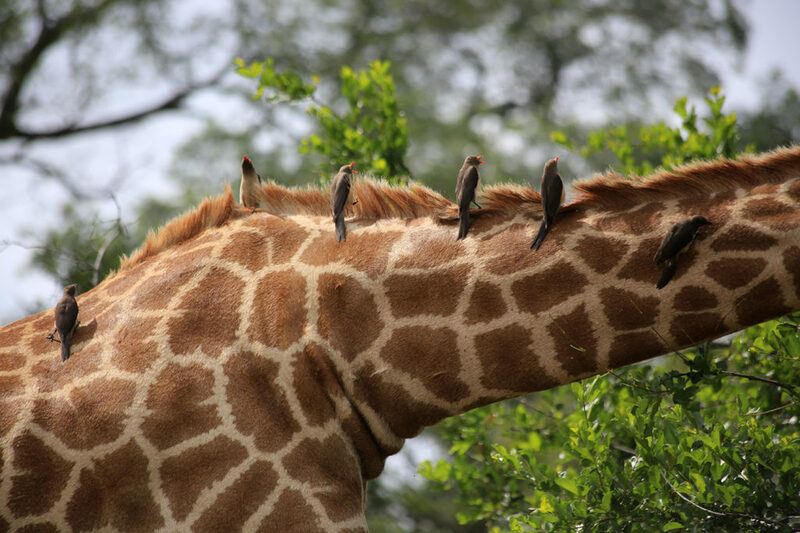 Oxpeckers are gregarious birds that graze exclusively on the bodies of large mammals. They feed on ectoparasites like ticks, as well as insects. 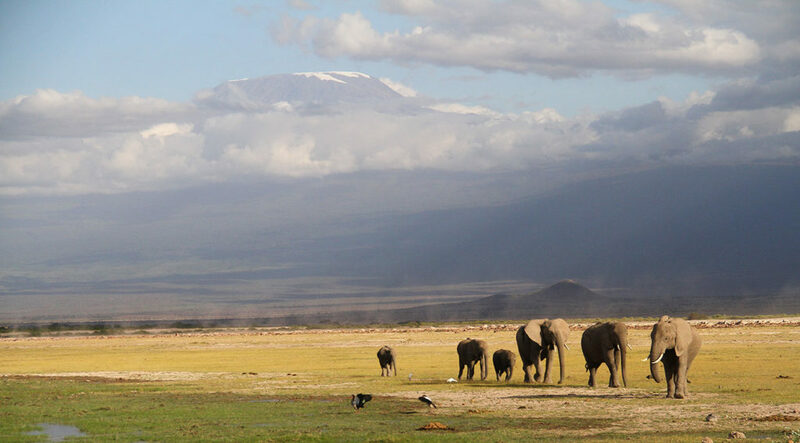 The iconic Amboseli herd of elephants? Tick. The highest mountain in Africa in the background? Tick. Bucket-list shot? TICK! 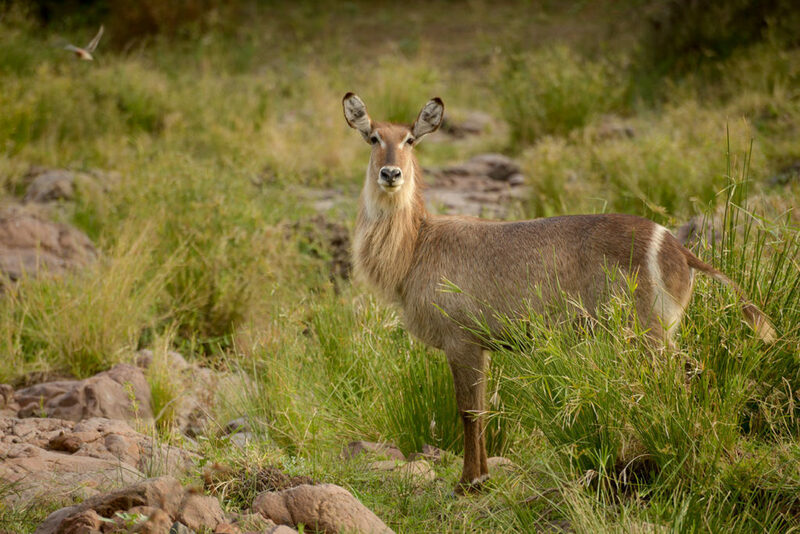 Emma snapped this waterbuck in Kruger National Park’s Singita Private Conservancy. This antelope is greatly dependent on water and can’t tolerate dehydration in hot weather conditions. It will always stay in areas that are close to water sources. This was taken at Pumba Private Game Reserve during a safari in the Eastern Cape. 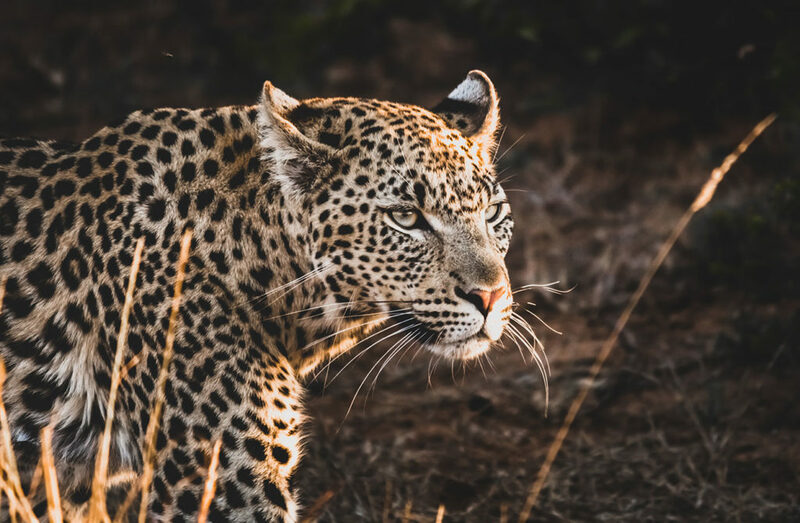 This malaria-free region is the newest addition to South Africa’s safari circuit, offering breath-taking scenery and lots of big game. 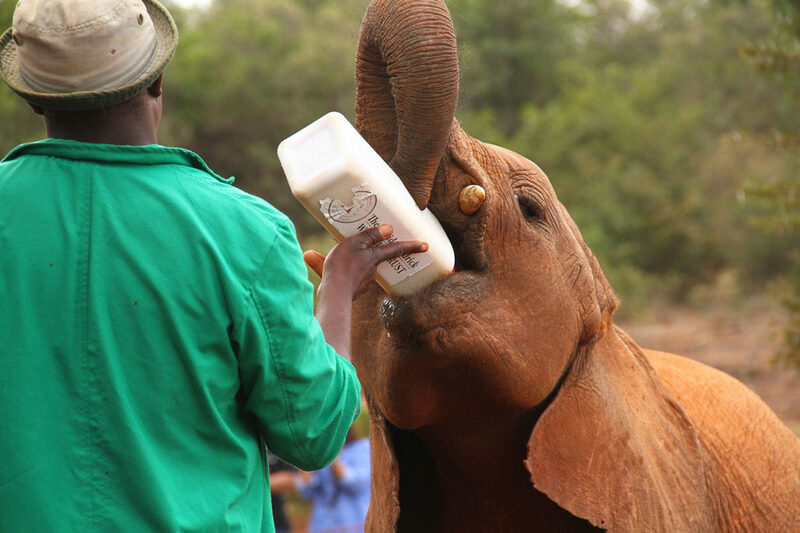 The David Sheldrick Wildlife Trust (DSWT) runs the most successful orphan elephant rescue and rehabilitation program in the world. Located in Kenya, it’s one of the pioneering conservation organisations for wildlife and the protection of habitat in East Africa. 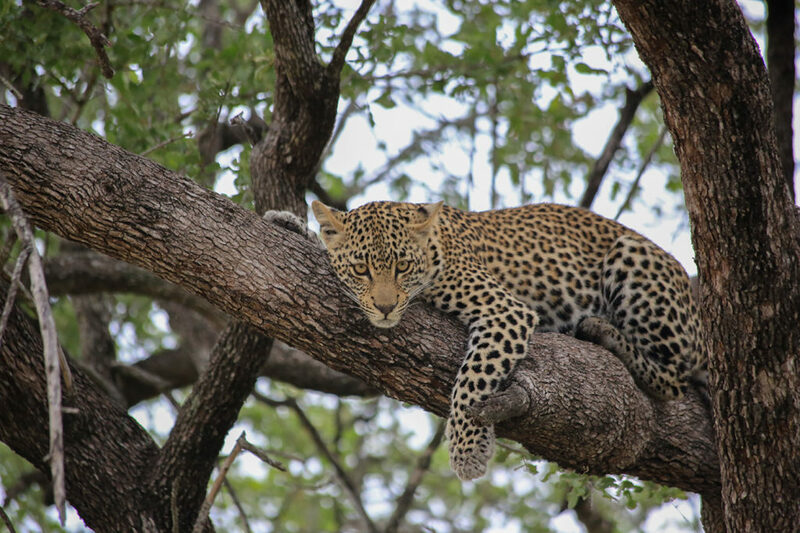 Sabi Sands is a private game reserve that shares an unfenced border with the legendary Kruger National Park. It’s known as one of the best safari areas in South Africa and consistently delivers superb Big 5 game viewing. 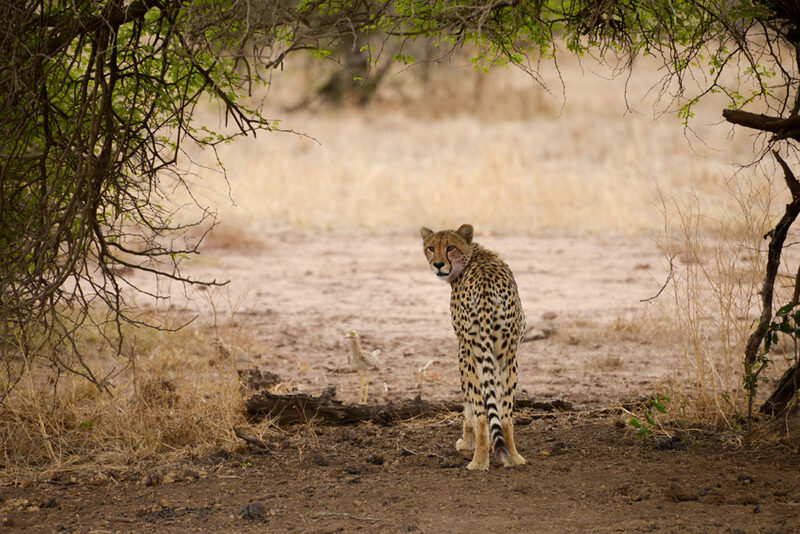 Emma snapped this female cheetah resting under some trees after she killed and fed in the Kruger National Park. On the floor of the Ngorongoro Crater, trees are few and far between. The resident lions have learnt to use their surroundings to find shade and respite from the midday sun. This mating pair gave the surrounding vehicles quite a show!